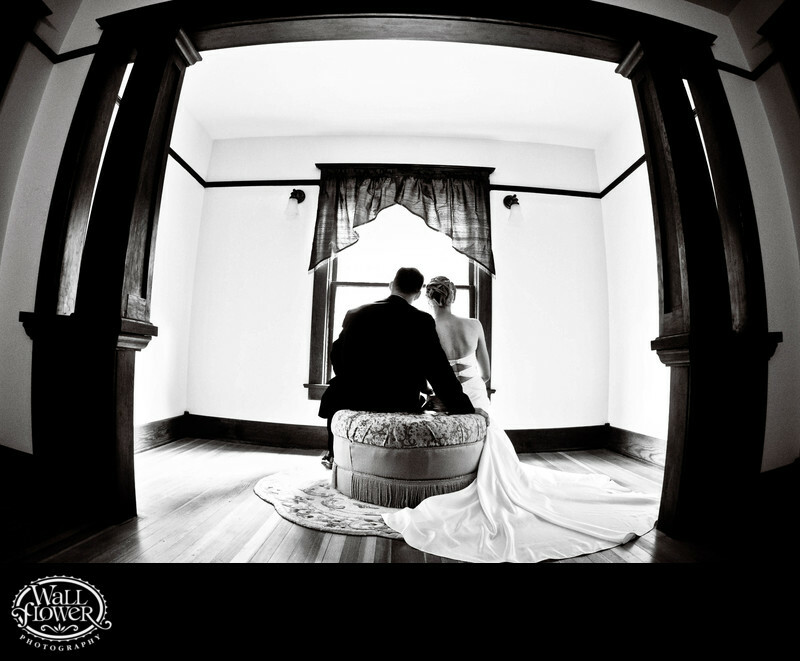 We posed this bride and groom on a round ottoman in a little room at one end of the mansion on the grounds of Sanders Estate in Auburn, Washington. I used a fisheye lens and shot the scene from down on the floor, to frame the couple under the dark wood arch. The high-contrast black and white effect, with blown-out highlights and deep blacks, has a classy, vintage look.